Mice? Heights? Large crowds? Embarrassing yourself in public? My wife is afraid of spiders. Every time there’s a spider in the room it affects everything she does. She can’t ignore it, she can’t relax, and she can’t think about anything else until I come and take the spider away. Even though the spider is tiny and my wife is much bigger, the thing she is afraid of has become the biggest thing in her mind and it affects everything she does. Spiritual living is not some wishy-washy, internal buzz or nice feeling. Spiritual living means that we live in a way that recognizes and reverences the awesome power and authority of the Holy God that we serve. God is our Father and our Friend – but we should not begin to think we are anywhere close to being on the same level as him. God deserves our reverence. Wherever we are, he really is the biggest thing in room! And when we have that mindset, it radically changes how we live. When we have an appropriate fear/reverence for God, we find our priorities start to change as we start living to serve the One who is really in charge. When God asks us to do something we stop our usual arguments, we lose any idea that we know best, and simply say“Yes sir”. 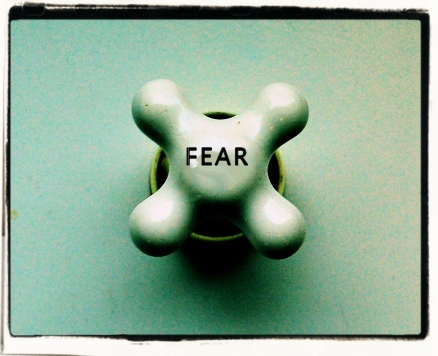 When we fear the Lord, everything that we used to be afraid of suddenly becomes much smaller. Opposition, ridicule, public embarrassment, persecution? What is that compared to the all-powerful God that we serve? It is the fear of the Lord which empowers us to say – like Peter and the apostles did – “We must obey God rather than human beings!” and carry on, regardless of any opposition we may face. P.S. – Pray for the 100+ men coming to the Every Nation London IGNITE Mens day tomorrow, that every one of them will receive a new overcoming power over any fear, especially a mans greatest fear: The fear of failure.